When my new book was ready to go I was determined to let people know via Facebook but, in the event, there was a glitch. 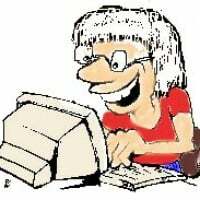 I had decided to experiment this time, using both Amazon CreateSpace (now become KindleDirect) and Lulu.com, having used both platforms separately in the past. I had set the book up on both platforms and actually liked the Lulu cover I was able to create using the CoverWizard better than the Amazon option which felt too stark, too "plain vanilla" because it didn't really reflect the book's content the way the Lulu cover image did. But in the event, Lulu's site proved more difficult to use and the two versions were not ready to go at the same time. So I pulled the trigger on the Amazon version while continuing to agonize over finalizing the Lulu version. I put the Amazon version link on my Facebook page a few weeks ago and a number of sales quickly followed. 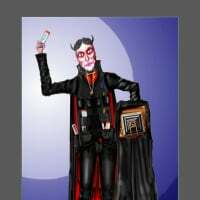 Of course, I had been mentioning that I was working on that book on and off, on Facebook, for years and many of those who are connected to me via Facebook are connected either because they had read past books of mine or because they are interested in stuff that interests me and vice versa. Since my newest is a book of philosophy, not fiction, it was naturally going to interest those who share my philosophical curiosity more than those looking for my next work of fiction! Anyway, there was an initial spurt of buys on amazon though I can't tell how many as of yet. Now we'll see if Facebook can serve as a broader conduit for book sales (since I keep my Facebook page open to the public). I have a friend who runs her entire business of Facebook alone. But she joins groups on there related to her business and has 24 hours shows where she lists her items and people purchase them there. 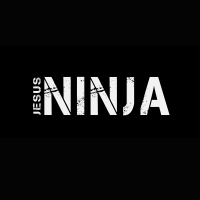 By the way, what style of martial art do you practice JesusNinja? I ask because I practice martial arts myself (a form of karate actually). As to Facebook, I haven't chosen to use my "page" for commercial purposes in any serious way. I use it for social commentary and debates with others on issues of the day (and, of course, for sharing pictures and stories of family occasionally). I don't think I'd ever want to commercialize it but mentioning my newest book there seems pretty innocuous to me since I don't urge people to buy it (or any other books I've written over the years). Writing and publishing a book is just another thing I do and sometimes talk about with friends and acquaintances if it interests them. My early training started with my dad teaching me military hand to hand at the age of nine. In high school I trained with friends who were training at the local Karate Academy. Here in short from my book is my martial history. His formal training in martial arts began at the age of 19 in Shotokan and Shito Ryu Karate under Sensei Larry Bullard. During the 1980’s, he began studying Aikido under Sensei Lloyd Turrisi. In 1987, he began training under Grandmaster Rick Ward, with whom he has trained for 28 years. Master Wilcox is a martial disciple and holds the rank of 5th degree black belt in Tai Yang Tzu Jen Men and Sil Lum Kungfu. He also holds black belts in various other arts including, Chuan Fa, Pentjak Silat, Sasamba Escrima and Emperor’s Longfist. Well ya got me beat. I started in Shotokan (the quintessential Japanese style) and, later, due to a change in venue, switched to Moo Duk Kwan Tae Kwon Do (a Korean variant of Shotokan that used higher kicking methods and more circular blocking than classic Shotokan). But Moo Duk Kwan's high kicking didn't suit my physical capabilities and I eventually gravitated to another Korean who was mixing various kung fu styles (Wing Chun, Hung Gar, Southern Mantis and, most importantly, Yang style t'ai chi ch'uan) with his generic Korean Shotokan base. He called his style Yun Mu Kwan (which was the predecessor of modern Jidokwan taekwondo but nothing like what he taught). All in all I trained formally for eight years (five years with him) and have been practicing on my own ever since leaving him back in 1976. So martial arts remains a first love of mine. But I can only stand in awe of your background. As they say in the Japanese styles, "Osu." Why thank you. Your background is great as well. But I know nothing. I'm a closed door disciple of my Grandmaster. But now after passing the test 10 years ago I'm realizing I haven't learned anything yet. Our system contains Sil Lum, Hung Gar, Wing Chun, Pentjak, Escrima, Chuan Fa, Chinese Kempo, Muy Thai, BaGua, Tai Chi, Hsing I, and more. Martial arts is my first love as well. My arts I train most that the time are BaGua, Tai Chi , and Hsing I. I have trained Yang style, but the Tai Chi we do is much older predating even the Chen Style. Our Emperor's Long fist was created during the Sung dynasty by the Emperor himself. You can see our Grandmaster and some of what we do on youtube. There is a video called Kung Fu Ancient Way of Life. Only 20 minutes. We do train with some Korean stylists and we trade off some info from time to time. We respect anyone who trains martial arts regardless of style. If I'm not mistaken there is a style that predates even Muk duk kwan, Takyean? It is very fluid and kung fu like. Similar to Hwarang Do. Taekkyon is controversial. There are many claims about taekwondo's including it when the Korean practitioners of kong su do (one of the Korean terms for "karate") decided to more fully Koreanize their methods. They claimed a link to taekkyon. But others say taekkyon was very different and long since extinct. There are modern Koreans who have sought to revive it and it looks very much like dancing and legwork applied to ritualized combative movements (somewhat like capoeira) but it's anyone's guess whether today's "taekkyon" is the same as what once went by that name. At any rate, it seems pretty clear that taekwondo (what Koreans call their form of karate today) came from Shotokan karate, brought back to Korea near the end and after World War II by Korean men who had studied in Japanese universities during the occupation of their country by Japan. Shotokan (an offshoot of Okinawan Shuri te and close relative of Shuri te's successor system, Shorin Ryu) is the oldest form of Japanese karate and probably the most well known. It became incorporated in Kyokushin, a Japanese system developed by a Korean immigrant to Japan, Masutatsu Oyama (I forget his Korean name) and was united with Jujutsu (a native Japanese combat art) to form the basis of Wado Ryu karate, another Japanese style. In Okinawa itself, Shorin Ryu was fused with Goju Ryu (of the Okinawan Naha te tradition) to become Shito Ryu and Isshin Ryu. Then, of course, there is Uechi Ryu which adopted some of the katas of Goju Ryu into their system. So there's a lot of cross pollenization. All the Okinawan systems, though, are said to come in whole or part from Chinese kung fu. That's why my teacher felt he was going back to the origin of karate by adopting elements of various kung fu systems then practiced in our local Chinatown community. I am skeptical of the claim that taekkyon influenced Korean karate on its path to becoming taekwondo though. I think the Koreans were not eager to acknowledge the debt they owed to Japanese Shotokan and so set out to consciously revise their system to look and feel different from Shotokan. Their high kicking emphasis COULD have reflected a taekkyon link though it's more likely that they were just more familiar with northern kung fu which tends to use high kicks and be pretty acrobatic in its moves. Bear in mind that Japanese karate came from Okinawa which got their stuff from China and the islands that make up Okinawa are off the southern coast of China. In the south, kung fu systems tended to be more grounded, using lower kicks and more hand movements. Naturally that's what Okinawan systems tend to look like, too, and so do their successor Japanese systems (Shotokan, Chito Ryu, Shito Ryu, Wado Ryu, Kyokushin, Gojukai). Transplanted to Korea it was probably pretty natural that the Koreans, seeking to differentiate themselves from the Japanese (and, indeed, to disavow any historic connection to Japan for their art), would have turned to emphasizing high kicks as a means to make karate their own. Personally, I don't like high kicks for real life applications though they tend to do very well in no contact or light contact tournament fighting where wins are achieved by points collected as determined by judges. High kicks take longer to deliver and are inherently more risky to perform but in that sort of situation, where the other guy is going to be restrained rather than looking to kill or maim you, the risk is reduced. And the visibility of the kicks makes them more likely to earn points from judges. In full contact fighting however, Kyokushin fighters generally clean up on taekwondo fighters because to win you must be the last man standing! Points are pointless. (Kyokushin fighters do kick high however, but only because no punches above the shoulders are allowed and kicks are less dangerous because they're harder to do well -- unless you're unlucky enough to be on the other end of a good one, of course). As to ta'i chi, I am aware of only five classic styles: Chen, Yang, Wu Hao, Wu and Sun. I am aware that in modern China there has been an effort to create a classic style called Wudang, allegedly ancient, though I suspect it isn't really (just as modern China has sought to recreate the Shaolin Temple tradition even though that tradition was said to have been lost as a distinct system centuries ago -- many of today's styles of kung fu claim descent from Shaolin, of course, but who really knows, eh?). I am only conversant with my teacher's interpretation of the Yang style (he trained with Cheng Man-ching who famously altered and shortened the Yang style -- my teacher sought, in his time, to reconstruct what had been removed by his teacher, so my form is not the classic Cheng Man-ching short form nor is it what is today taught as Yang Family style, said to descend from Cheng Man-ching's teacher, Yang Chen-fu). Thank you for the link. I'll look into it. Let me know if you check out our video. Yes, I took a look at it. Very impressively done. Quite professional. Interesting perspectives offered, as well. Thanks for calling it to my attention. It was actually done by a college student here in town for a project he had to do. He uploaded without my Sifu's permission but he left it up. Good advertising I guess. theJesusNinja My son does kung fu and works with a master. Many in his group feel that Christianity and the martial arts do not mix. I don't know if you remember the discussion here when I called myself a Christian Humanist, many Christians were violently opposed to the notion of a Christian being a Humanist (especially here in my market town) Now I am just a Humanist(although I don't belong to a humanist group). I found this interesting article on the internet about the martial arts and Christianity. "It is clear that cer­tain martial arts cannot be divorced from their Eastern worldview while others can. Aikido, Ninjitsu, and Tai Chi are the most incompatible with Christianity. Ultimately, whether a Christian should participate in one of those martial arts that can be reconciled with Christianity depends pri­marily upon the instructor. If the instructor pro­motes Eastern mysticism, the Christian should avoid that school. If the instructor divorces the practice of the martial art from the philosophy behind it, then the Christian may, in good con­science, participate. A third view is that the martial arts are not compatible with Christianity because of their violent nature. This is a legitimate position, for many Scripture passages do speak out against violence (e.g., Matt. 26:52). However, other Christians point out that when Jesus spoke with soldiers, He did not say combating was morally wrong (Matt. 8:5-13). Moreover, Jesus instructed the disciples to take a defensive sword with them as the time of His arrest by the authorities approached (Luke 22:36). The apostle Paul indicated that there was a legiti­mate use of force by the government in punish­ing wrongdoers (Rom. 13:1-5). The above verses have led many Christians to conclude that the Bible does not condemn self-defense and that the use of force is sometimes justified. While we would sup­port this conclusion, we recognize that the issue of self-defense is one that must be deter­mined by each individual believer’s conscience. Our Mission: To provide Christians worldwide with carefully researched information and well-reasoned answers that encourage them in their faith and equip them to intelligently represent it to people influenced by ideas and teachings that assault or undermine orthodox, biblical Christianity. The JesusNinja, Your book "Daddy Who's That Man" looks interesting. If I was a Christian I'd buy it!!! The article that you posted was one of the reasons I wrote Reflections of a Christian Kungfu Master. My teacher is the Grandmaster of our system and I am a closed door disciple under him. Christians are right about martial arts in many ways. But I believe it can be trained without those dangers if we focus on the right things. A video on Youtube called The Dragon Revealed was full of misinformation although he meant well. My book was an answer to his work. To at least let people who were interested see a different opinion. I bought a book here called "The Christian Humanist". It was written by a man who felt, like you do, that he wanted to answer the critics (who said that you cannot be a Christian and a Humanist) However it was completely rejected by the Christians in my market town and the many Christians on Lulu. I hope you have had better luck with your book. Ron is a good artist. His cover for the book is very armospheric. He mentioned that people buy his paintings of his own covers. "Christianity and the martial arts do not mix"
Many Asian derived martial arts are considered to be 'pagen.' (If you recall from history, when Japan signed the WW2 surrender document, Hirohito (was it?) also had to sign that he was not a god! So one can understand why some Christians are not in favour of the spiritual aspect of some martial arts.